TORONTO, October 30, 2014 /CNW/ - Mohawk Medical Properties REIT ("Mohawk"), a private real estate investment firm, announced today it has acquired the premier medical office buildings in both the Kanata and Nepean suburbs of Ottawa, ON via its 5th investment vehicle, Mohawk Ottawa Opportunity Partners (I) LP. These properties, called the "Kanata Medical Arts Building" and “Nepean Medical Centre” are 98% occupied by over eighty-four physicians including general practitioners, dermatologists, pediatricians, OB/GYNs and medical services including pharmacy, lab, x-ray and medical clinic. 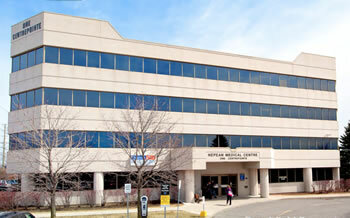 Mohawk Medical Management Corp. will provide ‘best in class’ medical specific, property management and leasing services. Timbercreek Senior Mortgage Investment Corporation provided first mortgage financing. Equity financing was comprised of a brokered and non-brokered private placement. Mohawk plans to close its 6th investment vehicle during Q1-2015. In furtherance of its rapidly growing portfolio, Mohawk proudly announces several new additions to its operations platform (see website for details). Mohawk is a Toronto based private equity firm specializing in healthcare real estate and committed to exceptional returns through reasonable risks. Sean Nakamoto and Andrew Shapack, whose combined track record includes 66 medical office building acquisitions, formed Mohawk in September 2012. The firm engages in acquisition, property management and asset management of Canadian medical office buildings financed through syndication to LP investors.